I have more than 5 years of experience in a digital agency. I have worked on more than 50 projects as a UX designer and/or front-end developer. Below is a selection of these projects. 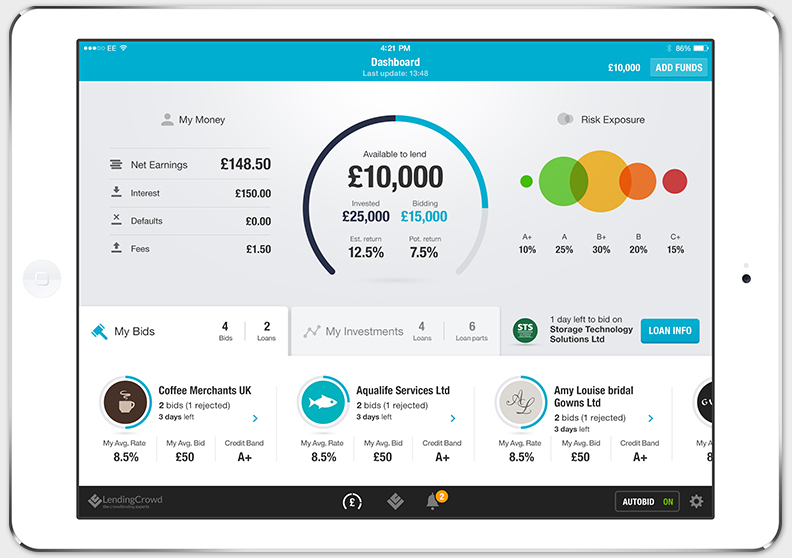 LendingCrowd is a peer-to-peer lending platform. It gives small businesses a place to seek investment and gives all kinds of users (whether they are occasional investors or full time investors) the opportunity to invest in those businesses. 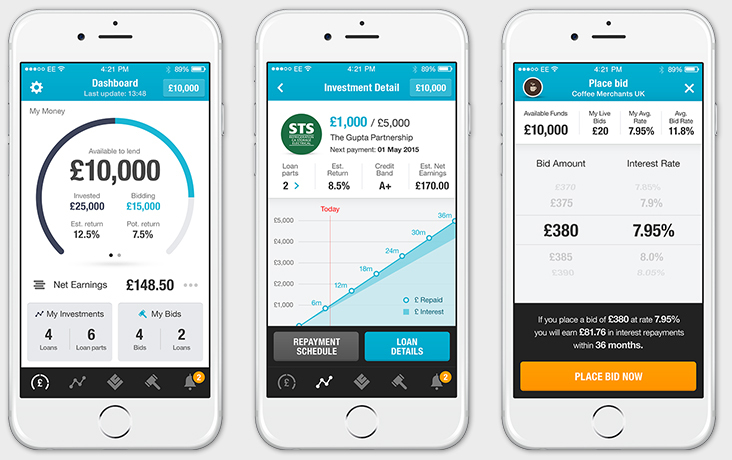 We designed the investor app, which lets users invest in projects via a loan market, and control those investments, keeping a close eye on progress and returns. Because the world of investment can seem complex to novices and discourage potential users, it was primordial to make the apps as intuitive and simple to use as possible. As the UX lead, I produced most of the UX deliverables but also collaborated with the client's designers to create the best experience for the users. 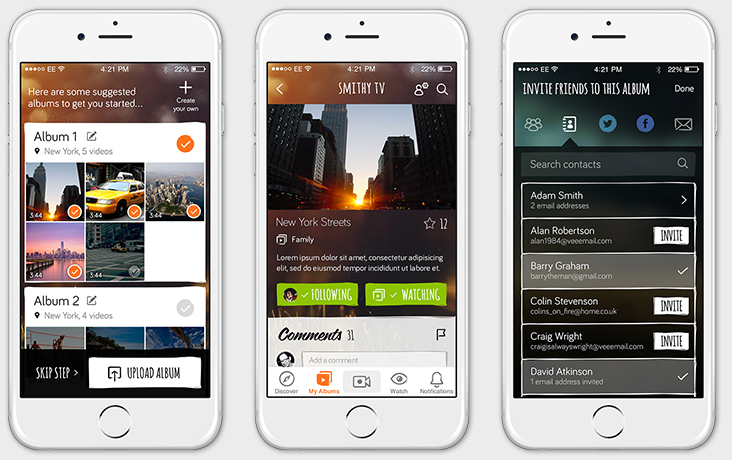 I worked on the second version of Veeemotion, a video sharing app for smartphones and tablets. Not just 'another Instagram for videos', Veeemotion is a powerful tool to organise video collections and share them easily in a secure way. 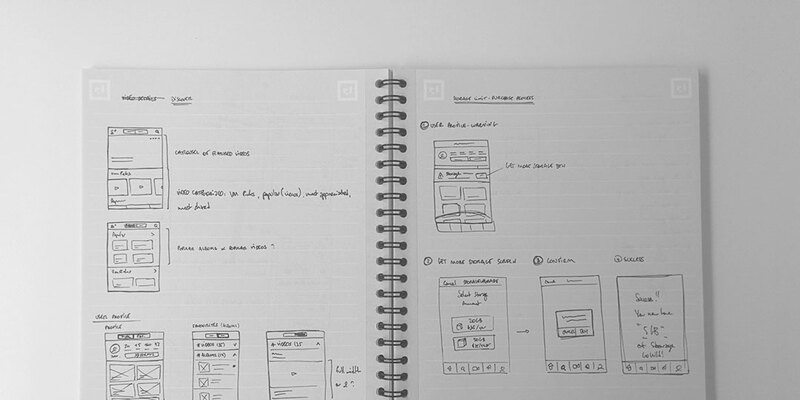 As a UX designer on the project I produced concepts, task flows, screen flows and wireframes among other things. I first worked on the numerous Ebac websites as a front-end developer so I knew the client well when I worked on the projects as a UX designer. Ebac manufacture washing machines, heat pumps, watercoolers, dehumidifiers and freezers. 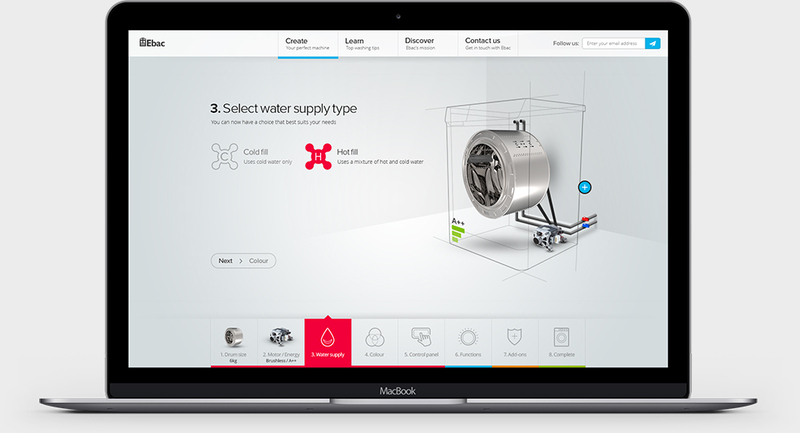 By far the project I enjoyed working on the most (as a UX designer and front-end developer) is the washing machine configurator. From the type of motor to the design of the control panel, users could tailor the perfect machine for their needs. This online experience was a campaign to increase brand awereness before launching the only made in britain washing machines (note: the website is no longer online). The first online community for scottish golfers, the bunkered Golf Club also gives its members access to exclusive deals in a groupon-like fashion. One of the main focus of the UX was the user onboarding, which required extra care. I also worked on the front-end developement on this responsive website. Princes Square is a well known shopping centre in Glasgow. 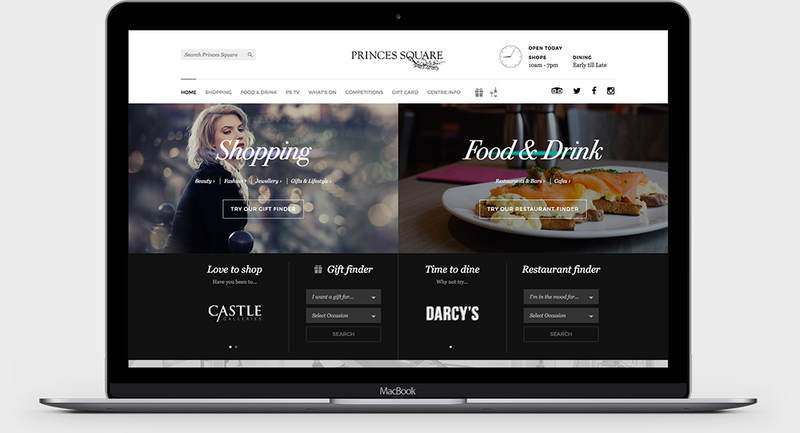 To establish their online presence, they needed a website that reflects the Princes Square brand: classy, trendy and clean. In addition to a complete directory of the shops and restaurants the mall has to offer, we designed a gift finder and a restaurant finder to guide users in need of inspiration and drive new customers to the shopping centre.